Water conservation is one of the most effective sustainable design practices, yet few professionals know how to collect and use rainwater effectively. 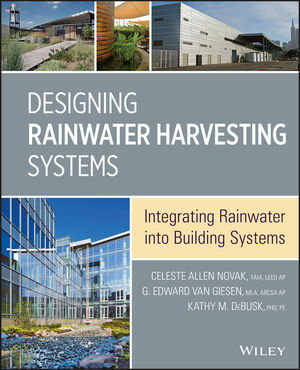 Rainwater Harvesting the first comprehensive book on designing rainwater harvesting systems. It provides practical guidelines for developing a rainwater harvesting strategy, taking into account climate, public policies, environmental impact, and end uses. Case studies are included throughout. Rainwater Harvesting is a valuable reference for architects, landscape architects, and site engineers.